Realism in so many particulars, gestures, and glances is difficult to capture in any media. 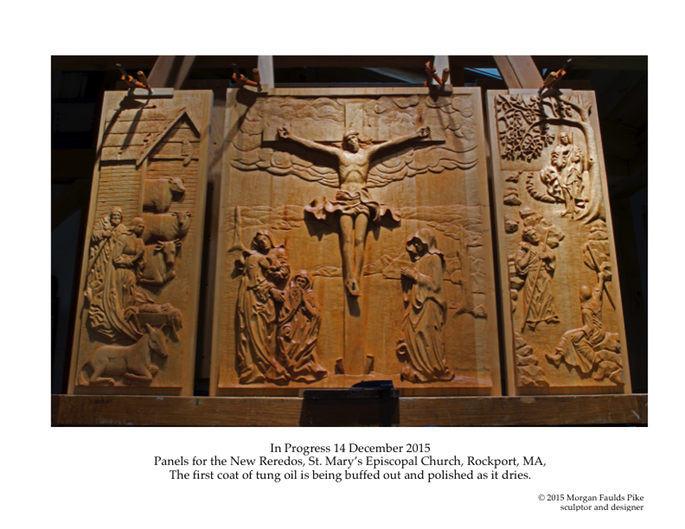 One of the impressive commissions Morgan Faulds Pike has been immersed in these last eight years, a special carved wooden altarpiece, is nearly complete. It’s a gentle, quiet stunner made up of a center panel and two side panels. Morgan created the reliquary, too. 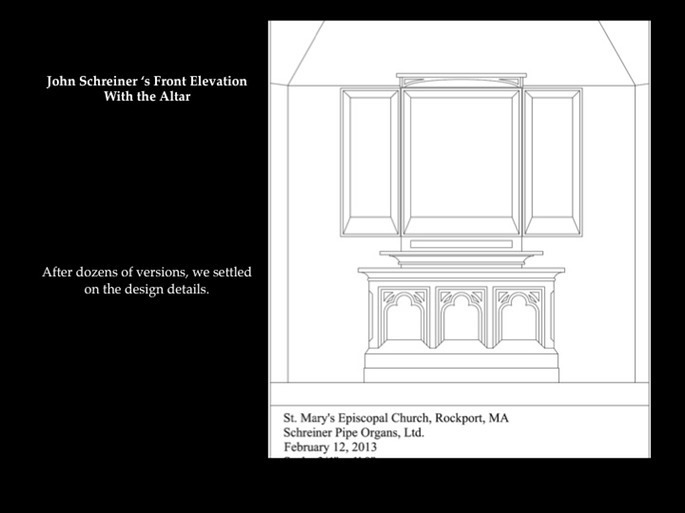 ‘Reredos’ describes the freestanding art behind (and above) an altar. A photo history of the project is available at MorganFauldsPike.com. or workwomanship, I should say!